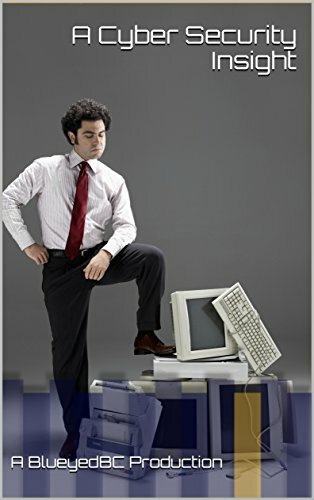 Don’t always pitch your ideas and thoughts in business continuity at entry level! You’ve gained so much experience in the last few years you don’t need to underestimate your contribution!!! In some ways they were right. I have been exposed to my fair share of bc projects, incidents etc in recent years but in the capacity of a support officer and under the protection of a well experienced professional. As time has progressed I have raised my head above the parapet and taken on more responsibility but admittedly without ever really being tested (yet!). No significant incident has really occurred during my time working solo that has really tested my knowledge and now more than ever I see the value in being mentored. The advice was just as valid though - the experience alone shouldn't be devalued. An individual who chooses to step out of their comfort zone will encounter new experiences and growth more frequently than the those who stick to what they know best continuously. You could be sat in a room with someone with 10 or more years’ experience in BC but they could be doing virtually the same thing day in – day out and as such have had less exposure than someone with only a few years but who is pushing their boundaries on a daily basis. Your contribution is just as valid. Interesting point…and in some ways I couldn’t agree more. In the last few years I have supported a range of BC Professionals. By default, I naturally assume that these “seasoned veterans” have a weathered approach that will guide me right. In hindsight, I would have to say this is about 50% accurate. One could certainly argue that with great experience there may come a series of bad habits and idiosyncrasies and therein lies the challenge; how effective is your guidance filter? 1. Look at your career path – Is the advice you’re receiving going to be of any value with the direction you intend to take in your career? For example, if you have taken the first job you could get simply because you want a foot in the industry, but deep down you see yourself in another sector or business, then how valuable are the hints and tips? 2. Look at their career path – take a moment to consider what has motivated the individuals in their careers. If like me you have encountered the occasional “survivor” you may be wise not to take on board the Trust No One – Suspect Everyone approach that is sometimes suggested. Not by all I might add! 3. Believe in you own feedback! – While at university I was undertaking a study in reflective writing. In the abundance of self-help books available at the library I came across one of my most valuable pieces of advice that I have never forgotten still holds true for me today. Self-Awareness is the very moment you no longer completely rely on the feedback and assessments of others, and begin to trust the candid assessments of your own performance. That doesn't mean to say you shouldn't ignore sensible guidance! 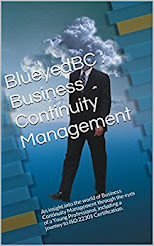 From my experience the business continuity industry is so diverse and there is a lot to learn from those who have genuinely been exposed to the heightened pace of a crisis. The final point there for me is one of the greatest balancing acts to achieve and I have admittedly it gotten wrong once or twice. Of course take an honest look at your abilities and skills gaps but do not underestimate the value of experienced BC professionals highlighting your blind spots! In summary, I would have to argue the cause for mentoring because I have had some amazing support in recent years. However, my advice is to approach it with a sensible idea of where you see your career going and be prepared to absorb the advice that suits your direction and purpose.